This will be the first West Coast solo exhibition of works of art by Michael Corinne West, a mid-20th century American artist who was a participant in the onset of Abstract Expressionism, but whose contributions to art history have been largely overlooked. Art Resource Group has assembled a comprehensive selection of West’s paintings, drawings and poetry to exhibit in retrospective format, accompanied by an illustrated catalogue. The exhibition will run concurrently with Arshile Gorky: A Retrospective, a major summer art event at the Museum of Contemporary Art, Los Angeles. Michael West (1908-1991) was an active figure in the avant-garde New York School, instrumental in the development of Abstract Expressionism. She made an exceptional contribution as one of the early proponents of Abstract Expressionism or Action Painting through her artwork, poetry, and friendships with the many other early members of the New York School. 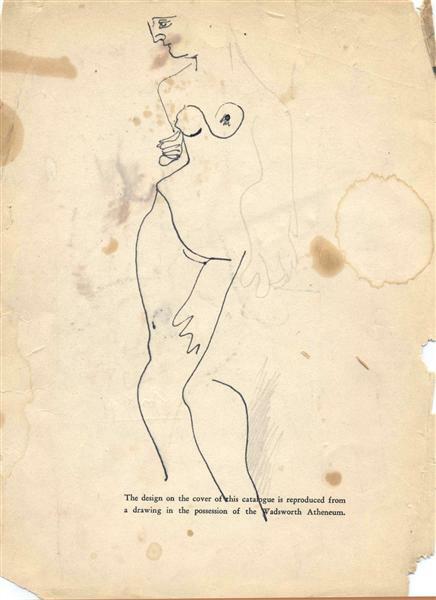 In 1946 West made reference in her writings to "The New Art," later known more formally as Abstract Expressionism. West embraced Abstract Expressionism, including the concept of Action Painting, more closely than most of her contemporaries. Although West's own accomplishments and contributions to modern art are sometimes overshadowed by her intense relationship with her friend and soul mate Arshile Gorky, Gorky himself recognized the significance of West’s innovative paintings, writing in a letter to her, "Corinne, your work is like no other American painter." West began her study of art at the Cincinnati Art Academy in 1927, and in 1932 she enrolled in the first painting class taught by Hans Hofmann at Manhattan’s Art Students League of New York City. Hofmann’s class awakened in West a deep intellectual curiosity. 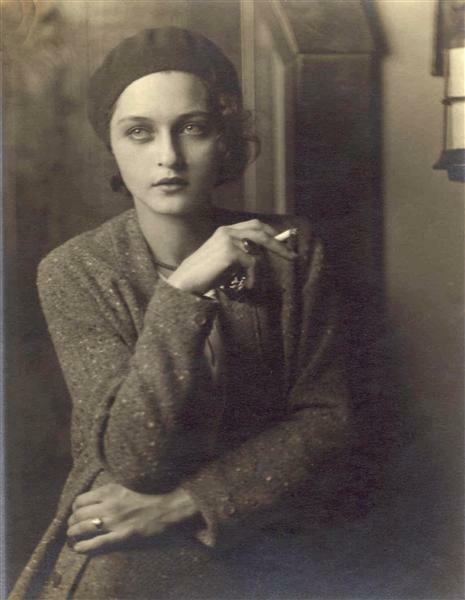 Gorky, whom she met in 1934, shared West's passions for "The New Art" for the next decadeand deeply influenced her life and aesthetics. Many books have discussed this fascinating relationship, including Hayden Herrera's new biography on Gorky that devotes an entire chapter, "Corinne," to West. The Abstract Expressionist movement was decidedly dominated by males. 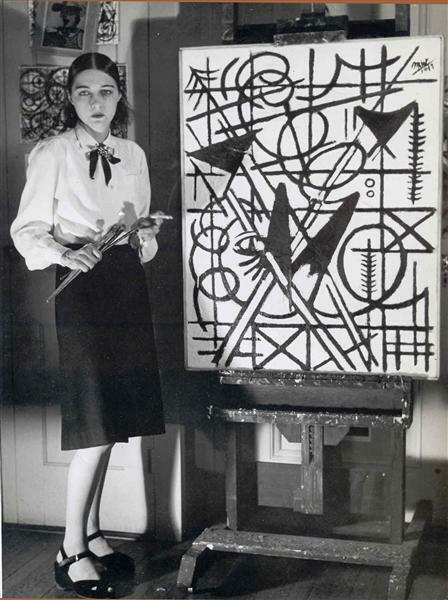 It was with Gorky's encouragement that Corinne West changed her name to Michael in 1941, hoping to find more opportunities in the art world under a masculine name, as did her contemporaries Grace (George) Hartigan and Lenore (Lee) Krasner. West also turned down Gorky's repeated marriage proposals: she knew that such a union would mean forgoing her own artistic career, a sacrifice she could not make. In 1948 West married Frances Lee, an avant-garde filmmaker and photographer of some reputation. His artistic connections enabled her to immerse herself in new circles of New York intelligentsia. It was at this time that her works were seen and admired by Jackson Pollock, Peggy Guggenheim and Clement Greenberg. West's work from the early 1940s reflects a Cubist style reminiscent of Picasso and Juan Gris. By the end of the decade, however, West moved away from Cubism and toward Abstract Expressionism. In 1953, she exhibited at Manhattan’s Stable Gallery’s annual exhibition alongside other important artists, including her close friend Richard Pousette-Dart, as well as Franz Kline, Robert Motherwell, Willem and Elaine De Kooning, Joan Mitchell and Phillip Guston. In 1957 West had her first significant solo exhibition at the Uptown Gallery in New York City, where she presented a collection of 31 paintings that inspired the following review from critic Clark Mills: "This work communicates to the viewer an immediate sense of the presence of vast and perhaps uncontrollable forces in motion about us. It is a warning and an affirmation; it is also an astonishing expression, palpable and direct, of dynamic and poetic power." Although she acknowledged the intellectual and artistic influence of many figures in the development of her artistic philosophies, Michael Corinne West remained true to her own vision and style throughout her life: her style was consistent and always her own. She was fiercely independent and a true Bohemian artist. In the words of celebrated art critic Dore Ashton, "Michael West’s life spans American Abstract art like a heroine in a historic novel in that she has left behind some truly thrilling paintings."